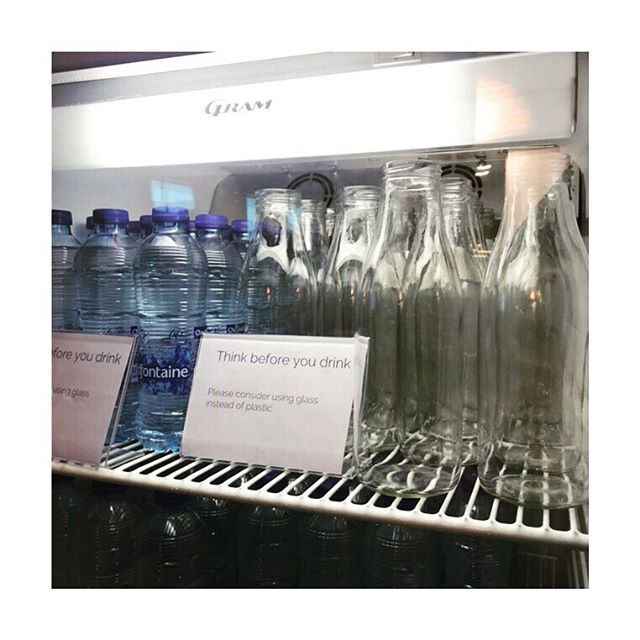 Here is a photo I found on Instagram of a drink fridge at one of the Google offices that shows they have water in glass bottles. There is even a sign that says "please consider using glass instead of plastic." They seem to be refillable, I think.